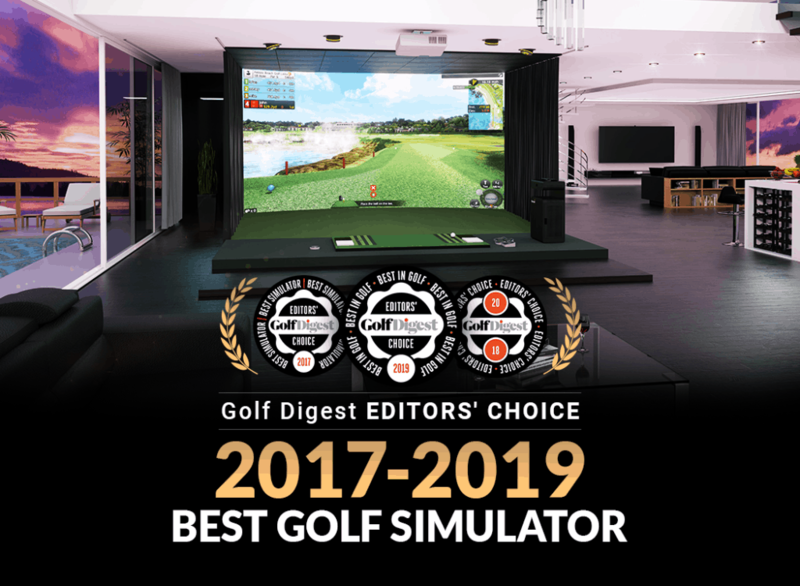 STERLING, VA, USA – (April 10, 2019) GOLFZON (www.golfzongolf.com ) has again been recognized by Golf Digest, the world’s top golf publication,as an Editors’ Choice Award winner for “Best Simulator/Premium” in the Best Gear & Gadgets area, the publication announced on Wednesday. GOLFZON was also chosen in 2017 and 2018 and will have placement and a description of its state-of-the-art golf simulator in the May 2019 issue of Golf Digest. The Editors’ Choice Award program was launched in 2016 with the mission of identifying “The Best Things in Golf,” with an emphasis on lifestyle properties, products and services. There will be exclusive coverage of GOLFZON and other winners in Golf Digest’s print and digital editions, on GolfDigest.com, as well as potential expanded coverage on Golf Digest Stix and social platforms including Facebook, Twitter and Instagram. Golf Digest is the most widely-read golf publication in the world and goes by the mantra of THINK YOUNG/PLAY HARD, a viewpoint similar to GOLFZON and its global efforts to bring golf simulators to more potential and dedicated golfers for fun, instruction and competition. Based on GOLFZON research from 2015, 80 percent of total new golfers in South Korea use simulation golf to get started and then experience green-grass golf, including the successful introduction to the game for many PGA TOUR and LPGA players. There are 57 million rounds of golf played on GOLFZON simulators annually around the world. GOLFZON has had a busy early 2019 with participation in the Consumer Electronics (CES) Show in Las Vegas with multiple sports simulators; the PGA Merchandise Show in Orlando, partnering with PGA Magazine on a closest to the pin contest; the Home Builders Show in Las Vegas; and the 5th USGA Golf Innovation Symposium in early March in Tokyo, Japan, the bi-annual gathering presented by the USGA in conjunction with the Japan Golf Association (JGA). See why Golfzon rates so high with Golf Digest.